The Marquesas Island are within the Society Islands, which we have stated will benefit from the tilting that occurs during plate adjustment, during the compression of the Pacific. The Marquesas are well within this plate portion. The problem the Marquesas will have is their size, as they are so small that the pole shift sloshing will virtually wash over them. 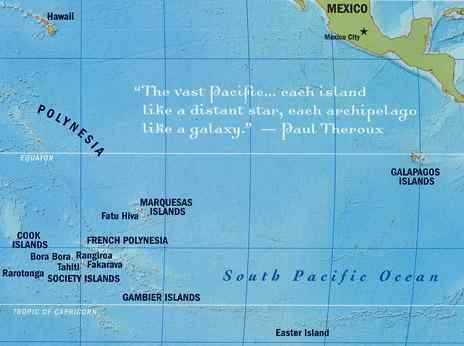 How can the residents go 100 miles from the coastlines when the surface area of all the Marquesas, combined, are only 405 square miles? The waves will be 500 feet high, and boring up into the mountain ravines to encompass any clinging to the mountain tops. Tidal bore will climb the cliffs, leaving few survivors.